9. 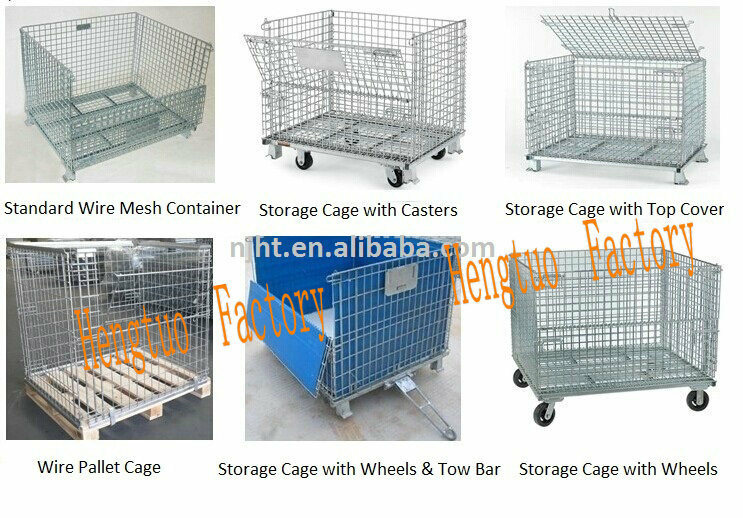 Euro-style wire container is widely used in transportation, loading &Â unloading, storage and other logistics links, low cost and high efficiency. 2). Payment: 30% by T/T, balanced by T/T before shipment. Other payment terms can be negotiated for big order. 3). Package: Export standard package suitable for tough handling and sea transport. 4). Delivery: Goods to be ready within 10~20 days depending on order quantity. We can provide sample service to each of our clients, as it is the best way for you to know us, to check our products' quality and our service, and to continue our cooperation in the further. 1Q :Are you aÂ factory or trading company? A: We are aÂ factory. 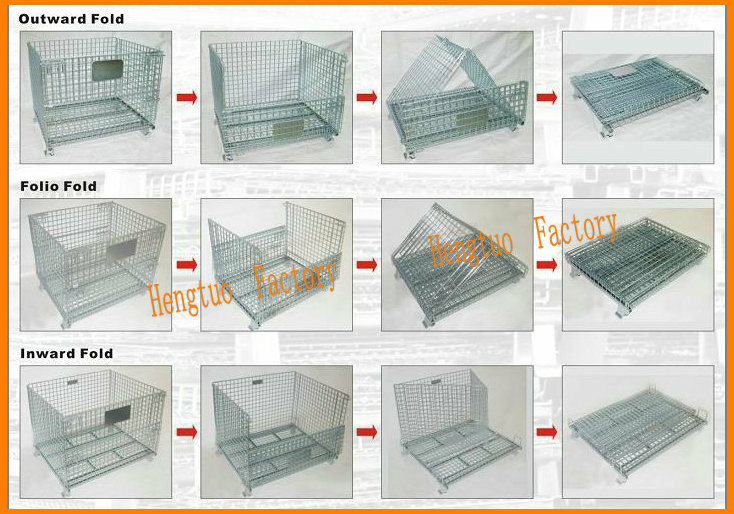 Wire Mesh Container is one of our featured products. 2Q :Where is your factory located? How can IÂ visit there? A: Our factory is located in Shanghu Industrial Park, Jiangning Town, Jiangning District, Nanjing, China. You can fly to Nanjing airport directly. You are warmly welcome to visit us whenever you are available! 3Q :What is the raw material of your products? A: As general, the raw material of steel code is Q235. Other steel is also available to clients' requirements. 4Q :What is the term of payment? A: As general, T/T, 30% payment in advance and balanced before shipping. 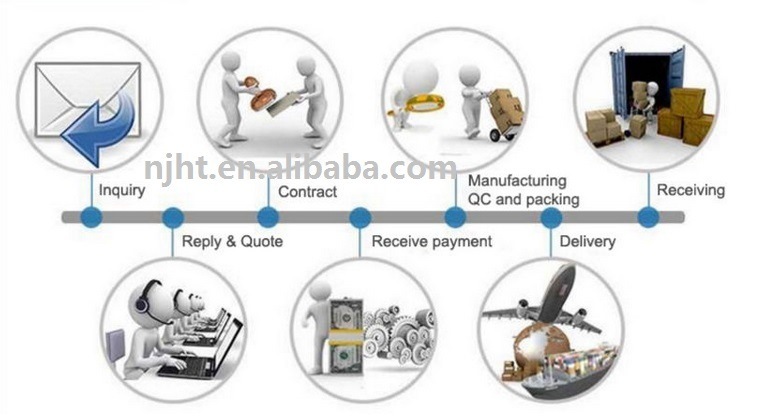 5Q :What is the delivery time? A: It depends on the order quantity. For one 40ft, it usually takes 7-10 days. 6Q :Which port will be used as loading port? A: Nanjing port, the closest port to us, is recommended strongly as loading port. Shanghai port is also available. 7Q :May IÂ know the status of my order? A: Yes. We will send you information and photos at different production stage of your order. You will get the latest information in time. A: Yes. Short sections of samples could be provided, they are free of charge, but international courier costs to be borne by clients. 9Q :Is Galvanized Finish available or powder coated? A: Galvanized or powder coated finish is upon your choice. 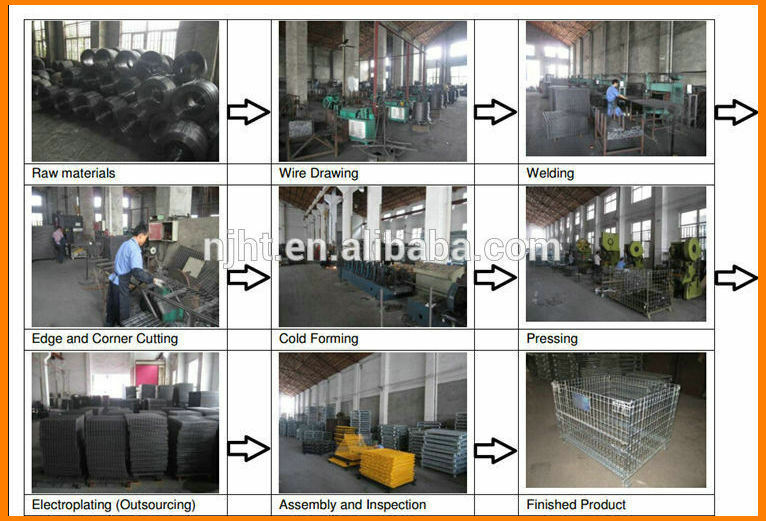 10Q :How can IÂ get your quick quotation for wire mesh container? 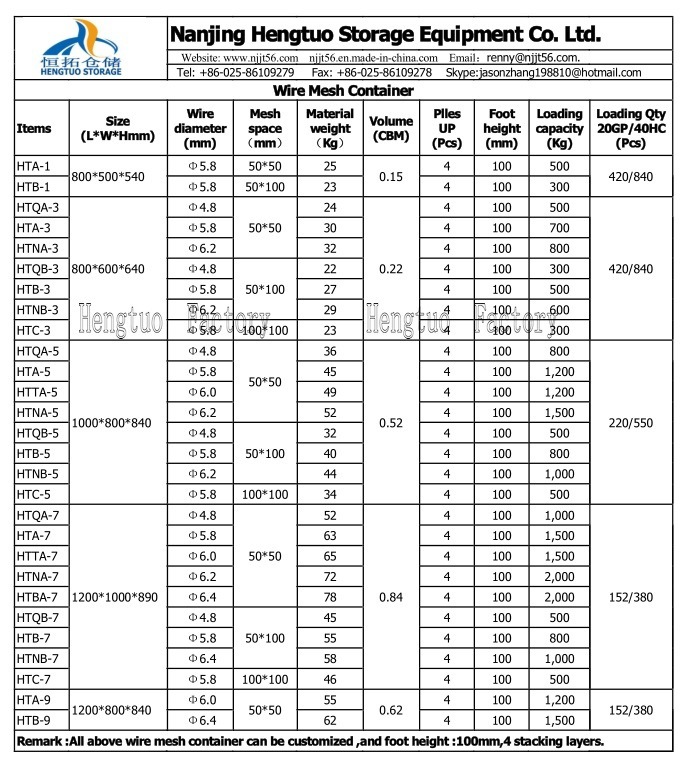 Nanjing Hengtuo Storage Equipment Co., Ltd.
We can provide our clients good quality products with aÂ competitive price, if you are interested in ordering some logisctic equipments, pls feel free to contact us, we have factory in Jiangsu China, so we are sure we can privide aÂ good price to you! Globe Valve is very suitable for cutting or adjusting and throttling. Because the stem of this type of valve has a relatively short opening and closing stroke, and a very reliable cutting function, because the change of the valve seat port is proportional to the stroke of the valve disc, it is very suitable for regulating the flow rate.